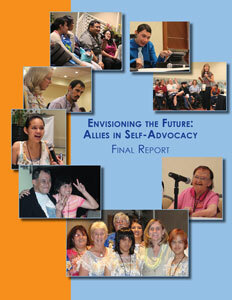 The Envisioning the Future: Allies in Self-Advocacy summit in Honolulu, Hawaii will be held at the Ala Mona Hotel. The summit will start around 8am on Wednesday, March 28 and go until 3pm on Thursday, March 29. It is recommended that team members arrive the night before (Tuesday, March 27), so the entire team is present and ready for the early morning start time on Wednesday, March 28. The agenda was originally designed to allow team members to leave directly after the summit ends on Thursday. We are aware that this may not be possible for many individuals flying internationally and have arranged for the hotel to have rooms available on Thursday, March 29 as well. Breakfast and lunch will be provided both days as well as a reception with appetizers on the evening of Wednesday, March 29. The Ala Mona Hotel is the host hotel of the Envisioning the Future: Allies in Self-Advocacy summit in Honolulu, Hawaii. Room rates: $115/night for a 2 guests room; $135/night for 4 guests room; $155/night for a 4 guests room with ocean view. When you reserve a room you will be reserving the room under the Pac Rim 2012 Conference. Many summit participants will also be attending the Pac Rim Conference, so this will allow people attending both to secure seamless reservations. Reserve a room online by clicking here. This will allow you to reserve a rooms at the negotiated rate. Enter your arrival and departure dates and check availability. Again, you will do your reservation under the negotiated rate for the Pacific Rim Conference (Pac Rim International) but you will be attending the The Envisioning the Future: Allies in Self-Advocacy summit. Reserve a room by phone: Call 808-955-4811 and ask to reserve a room for the Pac Rim Conference at the Ala Moana Hotel in Honolulu, HI. If you are reserving an ADA room please call the hotel directly to reserve your room at 808-955-4811. Often times hotel staff are not aware of the different “levels” or types of rooms. Please be specific with the accessibility features that you need in your room. For example: when you need a roll-in shower in your ADA room. The main telephone number for the Honolulu International Airport is: (808) 836-6411 (Voice). Do not call the airport regarding tickets, luggage restrictions, travel visa requirements, flight arrival or departure times, or any other issue which should be taken up with the particular airline with which you intend to travel. 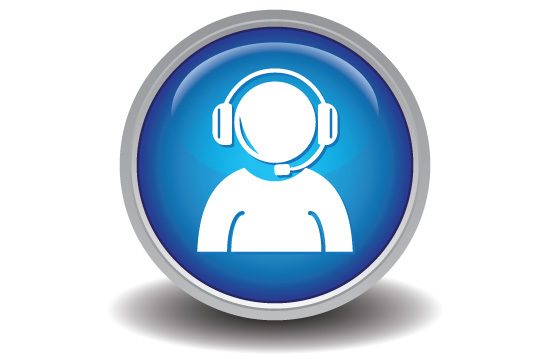 In these cases and for accessibility accommodations, contact your airline directly. Most airline websites are linked to from the main terminal map page on this website. Taxi Service is available on the center median fronting the terminal baggage claim areas. See the taxi dispatchers (green shirts with yellow lettering, and the wording “TAXI DISPATCHER” for service. The main telephone number for the airport taxi services is (808) 861-8294. Click here to be directed to HNL taxi webpage. SpeediShuttle provides affordable on demand door to door service from the airport to the hotel. Departing daily within 20 minutes of check-in with Shuttle Attendant at pickup zone. All shuttles are accessible for persons with wheelchairs via portable ramps. Please see a SpeediShuttle Greeter in baggage claim. Advanced notice is not required, but highly recommended. The hotel offers parking at $20.00 per day. The warm blue water, oceanfront hotels, and crowded beaches of Honolulu have been attracting visitors for as long as bikinis have been in fashion. 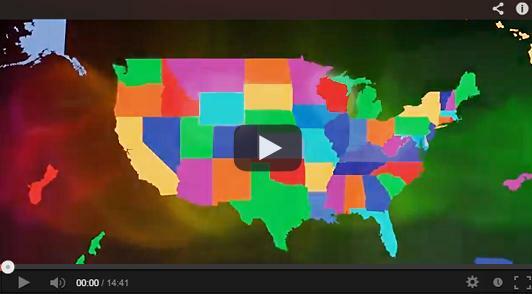 But Hawaii’s capital is known for more than just sun and surf. Museums and historic monuments provide alternatives to the beach, and opportunities for outdoor adventure and nightlife keep things lively. Honolulu, including Waikiki Beach and Diamond Head, offers visitors who come to Hawaii’s most popular island plenty of reasons to stay. 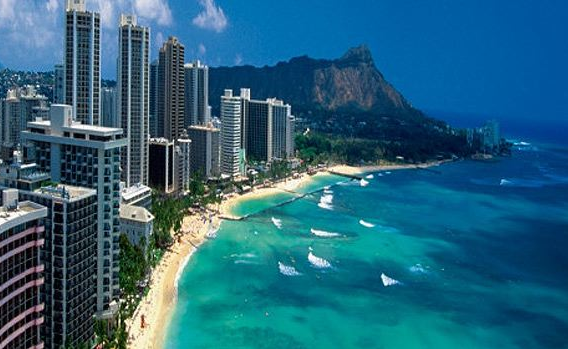 Honolulu experience a tropical climate with a mostly dry winter season. Honolulu has lots of sunshine most of the year. Temperatures vary little throughout the months, with average high temperatures of 80–90 °F (27–32 °C) and lows of 65–75 °F (19–24 °C) throughout the year.